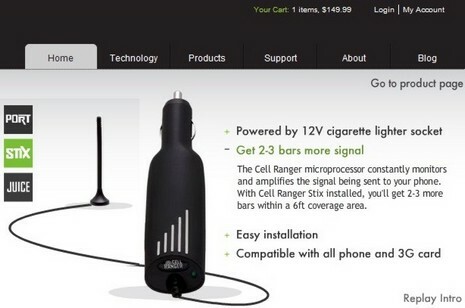 Thanks to John Forder for pointing out the intriquing Cell Ranger Stix wireless cell phone booster. It claims to use a microprocessor to analyze a cell signal coming in through its little antenna and then add 50 dB of gain (2–3 bars!) as it retransmits the signal in a six foot radius around that 12v lighter-plug-like casing, all for a $150 and nearly zero install effort. If true that would definitely be useful on many a boat, and maybe in my office where my recently acquired Verizon Centro is barely usable. 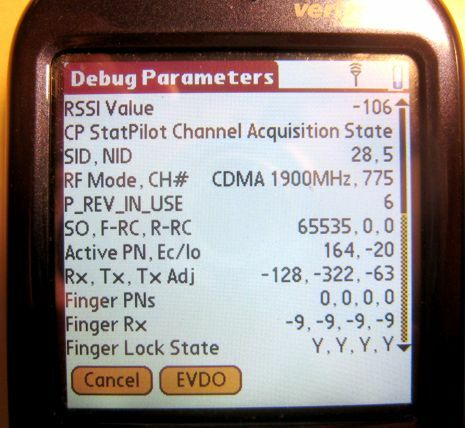 In fact, using a “field test” code found at wpsantennas.com—field test numbers are more responsive, detailied, accurate than screen bars—I’ve learned that it has an RSSI of -105 (very, very poor), and an EVDO signal strength of 107 (meaning unknown, but should change with amplification). Stix, and its USB-powered sibling Port, only improve the downlink side of a cell call, but according to Cell Ranger that’s where most connection problems occur, as the cell towers have more sensitive receivers than our phones do. Well, we’ll see! Seeing as I have to sprint out to our garden to take a cell call these days, and summer is winding down, I’m keen to know if this gadget could solve the problem. 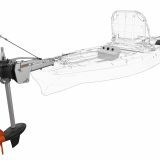 Plus be a useful aid to bring along on the road and on the water. I didn’t even take offense when told that Cell Ranger doesn’t have enough test units for…ahem…“smaller media sources and bloggers” like me. I just went with their recommendation to use their 30-day money-back guarantee to test the product. Given that policy, you can be a tester too. If interested, let’s meet back here in a few weeks and compare notes. PS 9/7: So far the testing results are very mixed. 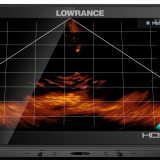 Ordered one today. For $150 I’ll try it. I have given up on my Digital Antenna wireless cellphone repeater. After troubleshooting including sending the unit back to be tested I see no increase in cell signal strength. Hopefully this thing will work. This sounds like a bunch of BS to me. If it is only boosting the downlink how can it know which channel your phone is using? It would have to just be a wide band amplifier boosting all the noise in the cellular band. Also, I do not believe their claim that the downlink is where most problems occur, the cellular base station transmits at much higher power (25 watts vs 0.5 uplink) and has higher gain antennas. The network is designed so that it is balanced, what is the point of being able to hear the base if it can’t hear you. I believe that, in fact, most problems are that the base cannot hear the mobile well enough for the call to connect. Just think how common it is that your phone shows that it can see the base, shows one or two bars of signal strength, but you can’t make a call… if this device works at all, this will just happen more often. I agree with Chris. The problem with these repeater systems is in TRANSMIT TO RECEIVE ISOLATION. In other words – the Digital Antenna system gives very specific spacing requirements between the location of the cell phone “pick up antenna” the small one that is supposed to be inside the boat by your cell – and the external higher gain antenna that must be isolated by more path loss than there is gain in the antenna and the amplifier system – or you get a feedback / jamming problem – just like a microphone and a speaker on a PA system. In order to really make the overall link budget work, the main external antenna has to have substantially more gain than the typical cell phone dinky internal antenna – AND it must be isolated from the cell phone antenna it is trying to replace. 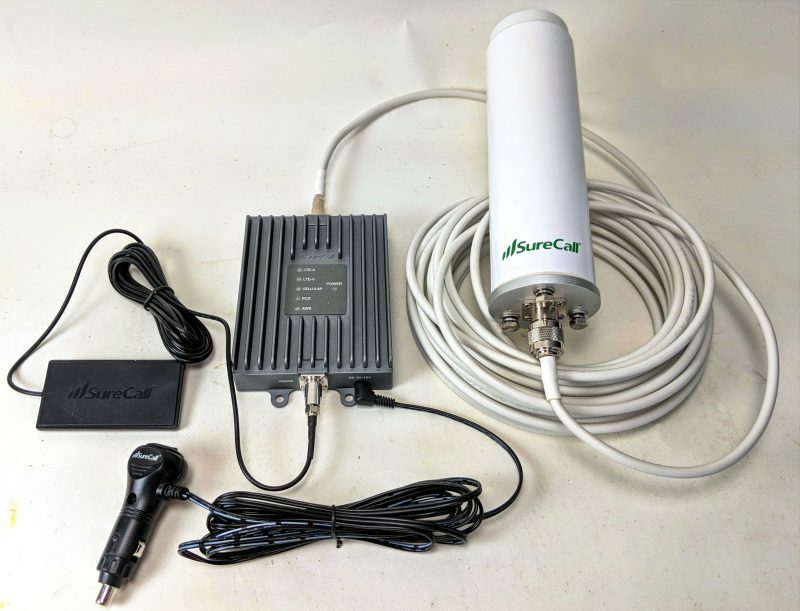 The cell must interact with the inside(inside the boat) “transfer” antenna – that replaces a coax connector to your cell antenna port and not with the high gain external(Mounted on the hard top forexample) antenna. The proposed STIX system here requires the cell to be close to the 12V plug in adapter where it has a dinky pick up or transfer antenna and then uses a “higher gain” external antenna that has to be many feet from the cell in the first place. So to make this work you need to sit with your cell next to the 12V / Transceiver / antenna thingy and stay away from the antenna at the end of the coax. So if this sounds hoky – well it is just that. If you have a cell with a coax connector to allow a direct connect to the cell – then making a nice high gain antenna and with a matching LNA(Low Noise Amp on receive) and high power Transmitter NOW you have the real deal. 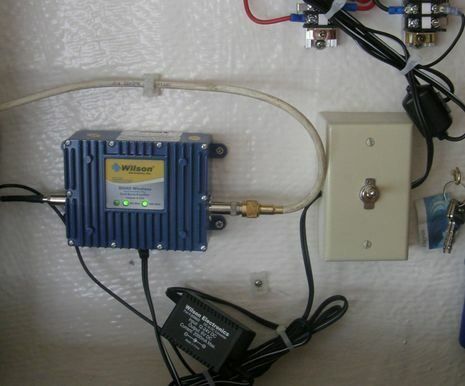 The “wireless” connect between the cell and the repeater system is what causes problems. Make sure you have transmit to receive isolation between the cell phone pick up antenna and the high power and high gain of the main antenna – if you are using the Digital Antenna system. See the Digital antenna specs for min distance requirements. I don’t think this stix thing has a chance of working any large fraction of the time. Dave is right. These wireless systems often fall short because of the separation requirement. There’s something a little different about this Cell Ranger STIX though. Its tiny wireless area (6′ or so) tells me that it is tuned to reduce the issues caused by not enough separation. And also, they only amplify the incoming signal – this shouldn’t end up creating the feedback mess that a Digital Antenna wireless solution creates. The real question is, does the thing work in a real boating environment with different phones and multiple phones. If the thing works, the full solution would be to leave your phone onboard near the 12V plug adapter and use a Bluetooth headset to walk around anywhere on the boat. That’s a pretty nice solution. It’s gotta work though. Because of the articles my wife and I wrote about smartphones on Mad Mariner, Cell Ranger is sending us a STIX to test on the water. Our boat is moored in a location with no cell service unless there is an amplifier helping. It’ll be the first test we try along with tests on 10+ phones. We’ll report back to Ben when we have some repeatable results. 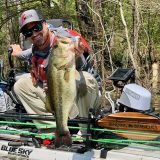 Has anyone used the Cell Ranger on their boat? Can it be used where most surfaces are fiberglass? Did you have any appreciable gain in signal strength? Any suggestions for marine use?